Description There are many medicines that can be bought without prescription (OTC) and have potential for abuse. These mood-altering preparations fall into three categories corresponding to their similarity to either opiates, stimulants or sedatives. Only the most commonly used are mentioned here. Opiate type These OTC medicines contain opiate-like substances. They are designed to suppress the coughing reflex. Some drug users will buy these drugs to help with withdrawal, while others will use them to supplement the effects of illicit drugs. These preparations are made from a syrupy base, so injection is unlikely. A danger that remains is the injection of powder or tablet formulations. Usually these are a combination of codeine and aspirin, which can result in aspirin poisoning. Stimulant type These OTC medicines contain either caffeine or ephedrine and act in a similar way to amphetamine. They are found in nasal decongestants, cough syrups and cold remedies. They have long been misused by drivers to keep them awake when travelling long distances. Sedative type Many OTC cough and cold remedies contain antihistamines, which can have a noticeable sedative effect, the danger of which may be increased by its combined use with alcohol. Cyclizine is probably the most misused antihistamine, and more often than not is injected in large quantities with opiates in an attempt to reproduce the effects of diconal (an opiate which contains cyclizine). Legal status There are OTC preparations containing drugs open to misuse which are not fully controlled under the Misuse of Drugs Act. 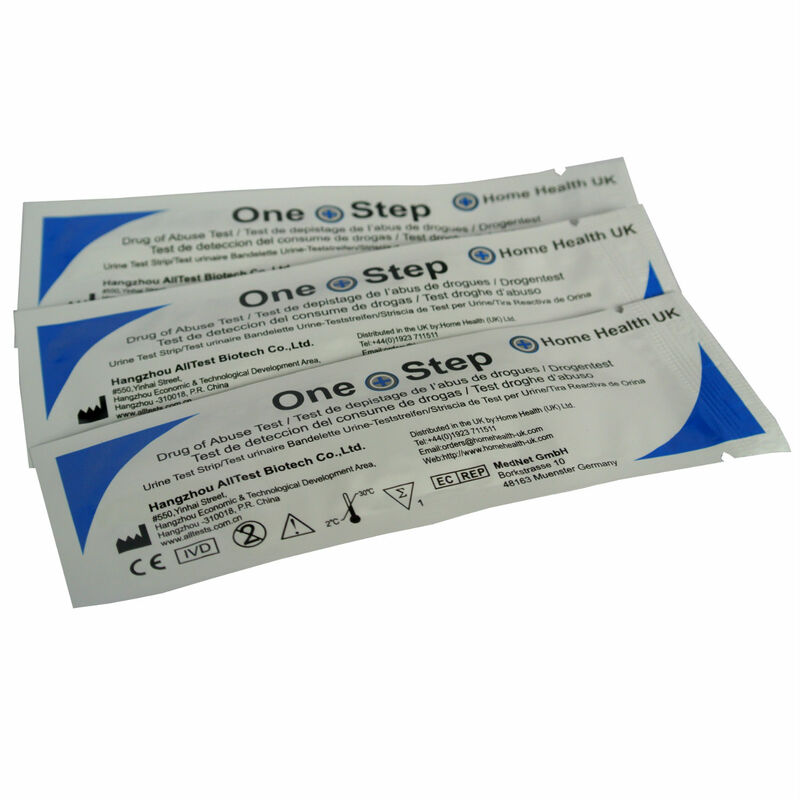 These preparations can be purchased legitimately from any pharmacist. There have, however, been a number of prosecutions of pharmacists who have been selling OTC drugs knowing they were likely to be abused. This has also applied to the sale of solvents and other volatile hydrocarbons. 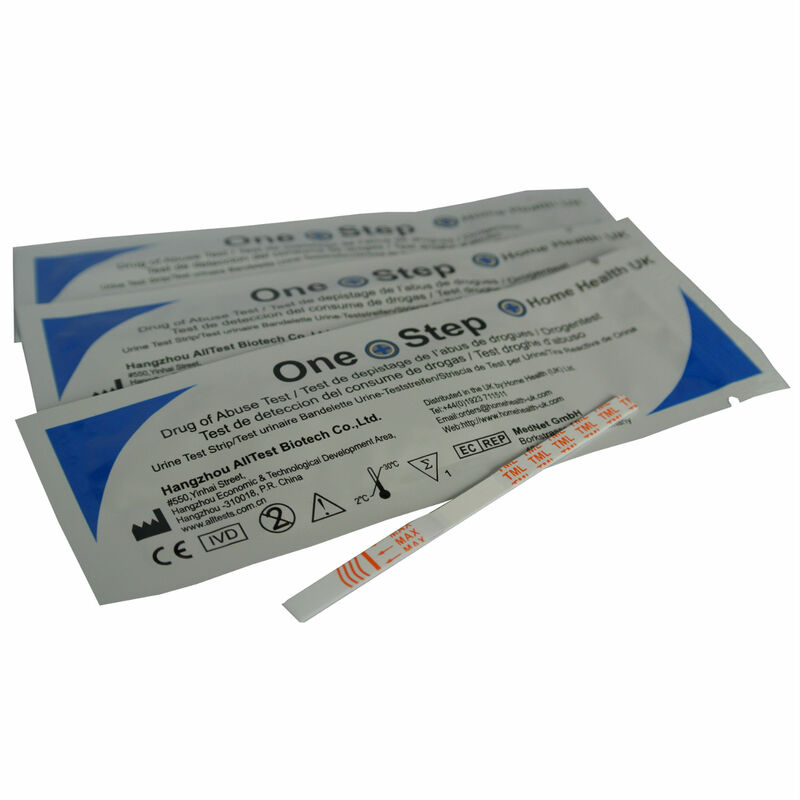 10 x Benzodiazepines Drug Testing Kits – Urine Test Strips.